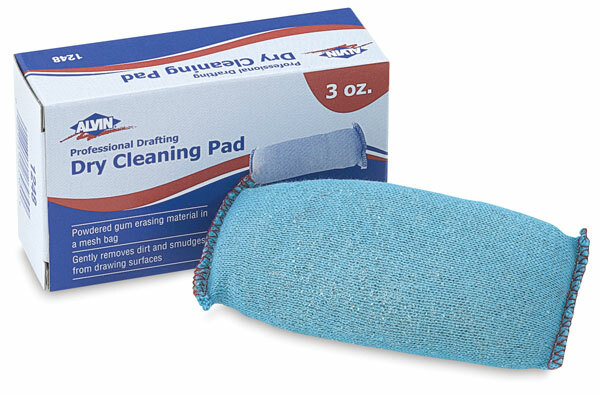 This cleaning pad erases dirt utilizing a dry cleaning method. It contains an exclusive grit-free powder that gently removes dirt and smudges without abrading drawings. The pad never needs washing and can also be used to clean drawing tools.